Lionel Messi appeared on a local radio station this weekend to speak about the beginning of this season and the team's style of play. Despite not having Andrés Iniesta, Messi believes that the team's style has not changed, and admits that "Andrés and Xavi are unique; they made the game more colorful and brought more possession." On the current season, there is one teammate of his who stands out: "Jordi Alba knows me to perfection. He knows when I will give him a no-look pass. I have a special connection with him." Messi also recognized the role of his friend, Luis Suárez: "He brings a lot to me and to the rest of the team; he leads us in creating pressure and provides strength to all of us." 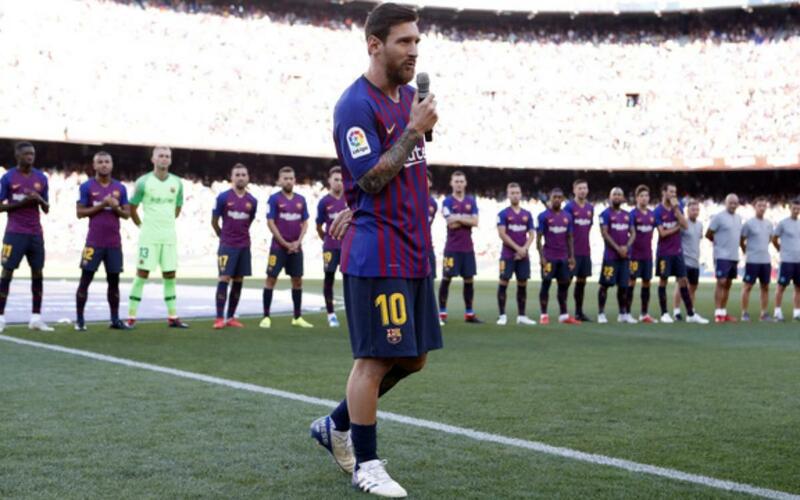 Interestingly, while Messi believes he has grown a lot in the assist department and in taking free kicks, he would still like to improve in one are: "Is there one thing that eats at me? I would like to be much more effective on penalty kicks. Practicing them is not the same as taking them in a game." But regardless of what happens on the field, Messi pays plenty of attention to the game while off it: "I like to watch football. I watch everything there is. I try to follow our league and football in Argentina, but I follow a little bit of everything."